AP EAMCET 2019 Syllabus consist of various topics from Mathematics, Physics, Chemistry & Biology subjects. 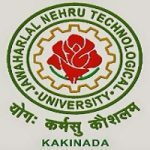 It is a state level entrance exam organized by Jawaharlal Nehru Technological University, Kakinada. AP EAMCET Exam is conducted for providing admission into various engineering and agriculture programmes. These courses are offered by different institutions or colleges of the Andhra Pradesh state. Through this article, candidates can check the complete information related to AP EAMCET Syllabus 2019. Functions, Mathematical Induction, De Moivre’s Theorem: De Moivre’s theorem, Quadratic Expressions, Matrices, Permutations and Combinations, Binomial Theorem, Partial fractions. Trigonometric Ratios, Trigonometric Equations, Inverse Trigonometric Functions, variations, Graphs and Periodicity of Trigonometric functions, Hyperbolic Functions, Properties of Triangles. Addition of Vectors, Linear combination of vectors, Product of Vectors, Geometrical Interpretations, Classification of vectors, orthogonal projections, Scalar Triple Product – Vector equations of plane in different forms, Geometrical Vector methods, skew lines, shortest distance and their Cartesian equivalents. Range, Coefficient of variation, Mean deviation and analysis of frequency distribution with equal means but different variances. Random experiments and events, Independent and dependent events conditional probability, Bayee’s theorem, Classical definition of probability, Random Variables and Probability Distributions. Locus, The Straight Line, Circle, System of circles, Transformation of Axes, Parabola, Ellipse, Three Dimensional Coordinates, Hyperbola, Direction Cosines and Direction Ratios, Plane. Limits and Continuity, Applications of Derivatives, Differentiation, Integration, Definite Integrals, Differential equations. Physical World, Motion in a Straight Line, Motion in a Plane, Laws of Motion, Work, Energy and Power, Systems of Particular & Rotational Motion, Oscillations, Gravitation, Units & Measurements, Mechanical Properties of Fluids, Thermal Properties of Matter, Thermodynamics, Waves, Wave Optics, Electrical Charges and Fields, Current Electricity, Ray Optics & Optical Instructions, Electromagnetic Induction, Alternating Current, Semiconductor Electronics, Nuclei, Electrostatic Potential and Capacitance. Atomic Structure, Chemical Bonding and Molecular Structure, States of Matter: Gases and Liquids, Stoichiometry, Thermodynamics, Classification of Elements and Periodicity in Properties, Chemical Equilibrium and Acids-Bases, Hydrogen & its Compounds, The S-Block Elements, P- Block Elements Group 13 (boron family), P-Block Elements Group 14 (carbon family), Environmental Chemistry, Organic Chemistry – Some Basic Principles and Techniques, Solid State, Solutions, Surface Chemistry, P- Block Elements, D and F Block Elements. Diversity in the Living World, Reproduction in Plants, Plant Systematics, Plant Physiology, Structural Organization in Plants- Morphology, Cell Structure and Function, Internal Organization of Plants, Plant Ecology, Genetics, Plants, Microbiology, Microbes and Human Welfare, Biotechnology, Molecular Biology. Diversity in the Living World, Animal Diversity- I, Animal Diversity-II, Locomotion & Reproduction in Protozoa, Structural Organization in Animals, Biology & Human Welfare, Structural Organization in Plants- Morphology, Type Study of Periplaneta Americana, Ecology & Environment, Human Anatomy and Physiology-III, Human Anatomy and Physiology-II, Human Anatomy and Physiology-IV, Applied Biology, Organic Evolution, Genetics, Human Reproduction. The exam pattern is given here. The AP EAMCET question paper will be asked in the OMR pattern booklet. The question paper will consist of total 160 multiple choice questions. For engineering, questions will be asked from Physics, Chemistry and Mathematics subjects. For agriculture, questions will be asked from Botany, Zoology, Physics and Chemistry subjects. Total four options will be provided to answer for each question. If you have any other queries about AP EAMCET 2019 Syllabus, you can leave your queries below in the comment box. Sir,will they conduct ap eamcet in 2019 for bipc stream. what type of syllabus in eamcet whether state or cbse? Any weight age given 10+2 board marks in bi.p.c stream? What are the government colleges that you provide seats for agriculture? Is there any slot booking for eamcet? I live in west bengal but i want to apply for this xam. I have filled the application form also. But i am not connected with andhra pradesh in any way. So can i appear in this xam??? Given date are correct and authentic. The eligibility criteria of AP EAMCET 2016 is mentioned in this link. I was born in Andhra but now I’m studying 12th from Maharashtra state. I’m eligible or not. you should possess AP Domicile. AP EAMCET 2016 will be held on 29 April, 2016.